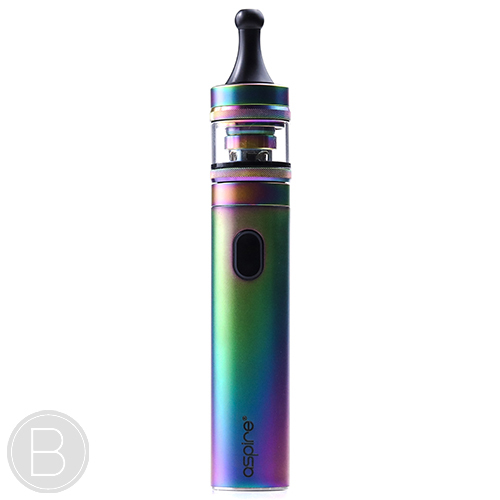 Aspire Tigon Kit – The Aspire Tigon kit is a perfect way to dive into vaping, boasting the ability to function both as a mouth to lung and a direct to lung kit. This easy to use, child safe stick kit is great for new starters and a fantastic kit for an all day vape. 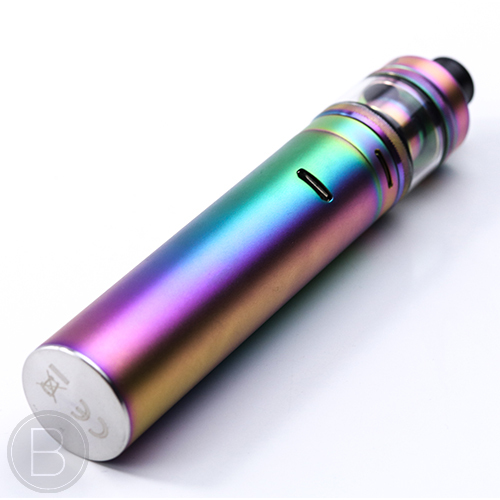 The Tigun houses a 1800mAh battery, more than enough to last a full day under normal use and will last even longer with the mouth to lung coil. It’s simple to use, with five clicks to turn on and five clicks to turn off. The kit itself fits perfectly in the hand measuring at 22.3mm wide and 123mm tall. The Tigon is available in a range of colours including black, silver and the most popular rainbow. Aspires Tigon revolutionises the way we look at tanks. 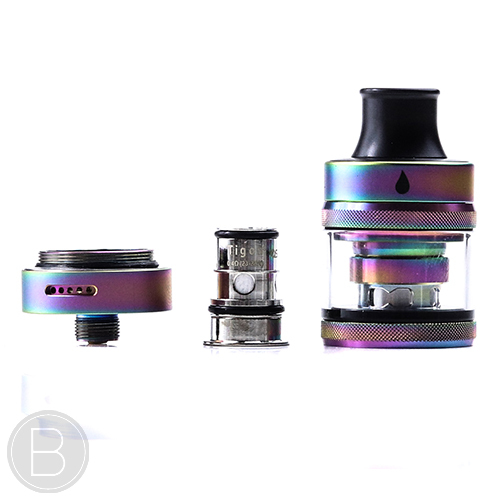 The Tigon tank functions as both a direct to lung and mouth to lung by having two seperate airflow options and two different coil options. 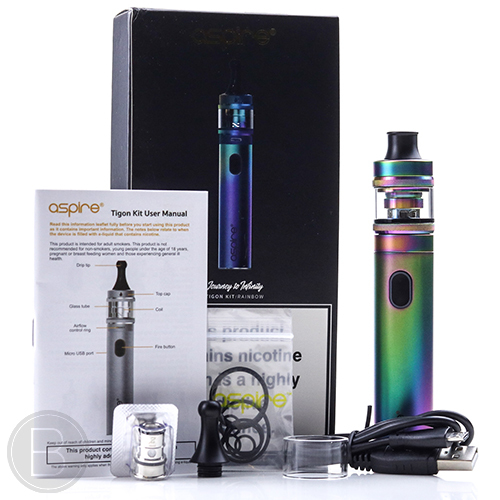 Not only that, Aspire have created a design that is near leak proof. By having a sealed silicon return vavle to insert juice minimises the chance of leakage whilst filling the tank. 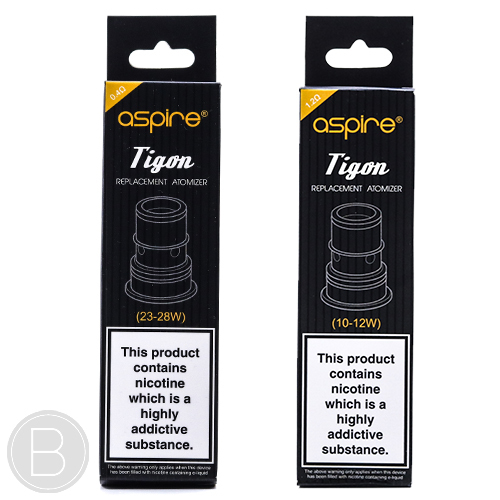 The Aspire Tigon also brings a fantastic method of changing coils which also reduces the chance of leakage. When removing the coil a spring loaded sleeve covers the wicking holes. This means coils can be changed whilst juice is in the tank, resulting in no juice wasted or spilt while replaceing the coil. Opening the tank has been made secure and childproof, by requiring a unique screw tool (included). Opening the tank is required for changing the glass. To do so simply unscrew the base, remove the coil then solt the specialised tool into the middle of the tank. Once the screw is undone and removed, unscrew the top of the tank. 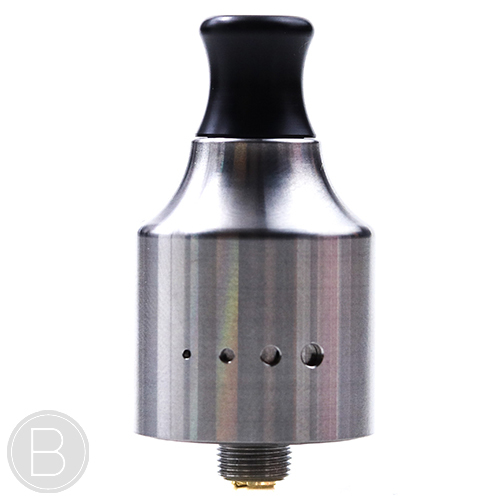 The Tigon kit comes with a choice of a long style mouth to lung drip tip and a wider shorter style drip tip more suited to direct to lung hits. 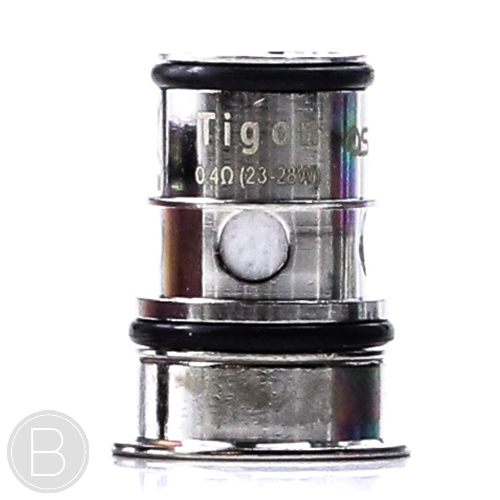 There are two choices of coils that are designed for the Tigon. One being the direct to lung 0.4ohm which fires at 23-28W. The other is the mouth to lung 1.2ohm which fires at 10-12W. 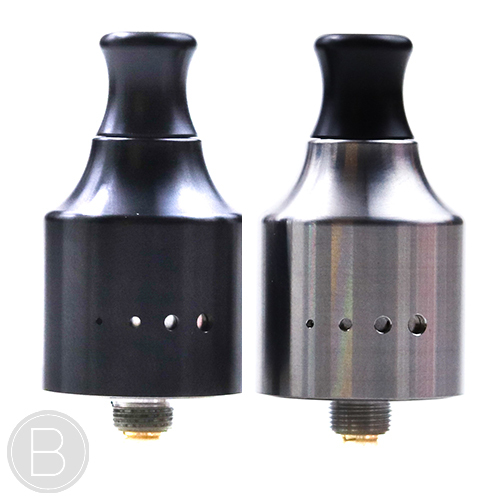 The kit will automatically register the different ohm coil when installed and will set the correct wattage to fire at, making it easy to swap between the different styles of vaping.